It is almost impossible now to imagine the fear and disbelief that Röntgen must have experienced when he waved his hand in front of the fluorescent screen and saw his skeletal hand waving back in the dark. That night, he was understandably late for his dinner. His wife Bertha, whose mother-in-law had taught her to prepare Röntgen’s favorite Dutch meals, sent for him several times from their large apartment above the ground-floor lab. He did not reply. The Invisible World is the first book to narrate the social and cultural history of particle physics in the 20th century, to describe the invisible objects and forces that have shaped our world, and to chronicle the lives of the people who revealed the unseen. It is the story of the small group of physicists whose discoveries changed the courses of nations and how these men and women were changed by what they did. 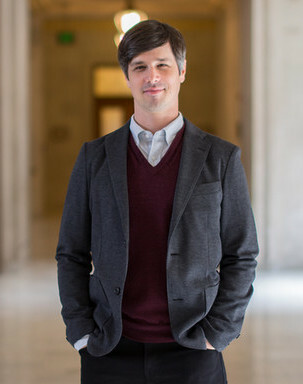 Joshua Roebke teaches writing at the University of Texas at Austin, where he is also a research associate at the Institute for Historical Studies. He studied Spanish literature and nuclear physics at Michigan State University, and he received an M.Sc in theoretical physics from McGill University in Montreal. He was a magazine editor in New York and a Visiting Scholar in the history of science at UC, Berkeley. His work has also been featured in The Best American Science and Nature Writing. He lives in Austin, Texas. The grant jury: A vivid, necessary, engaging history of physics that illuminates scientific ideas through biography, history, politics and culture. Roebke’s pages are striking and self-assured, giving every indication that he will fill the large ambition he has set for himself. This work of exemplary clarity and storytelling welcomes him to the forefront of our best science writers.